Nokia Mobile, or HMD Global if you like, is a startup with one simple goal, to bring back Nokia hardware to the market, to the Nokia community that is still strong and very much alive. Recently we saw that they are even bringing notch to the Nokia phones, and whether you like it or not, they are hardware manufacturer so why not make one midranger with a popular notch. There is a poll ongoing so if you do have an opinion about it, do leave your vote or comment. Anyway, Nokia X should be presented in 10 days for China market and we will finally find out more about that not so mysterious device. If this phone is coming to the global market it could be accompanied by new Nokia 5, and even the Nokia 3 according to sources. Juho Sarvikas just recently gave his Stay tuned 🙂 answer to the question about the Nokia 5 (2018) what could suggest that Nokia Mobile plans to revamp portfolio from the Nokia 6 down. 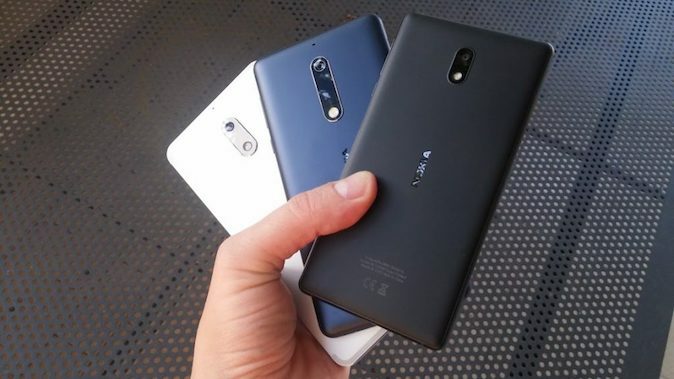 Another source that is coming from Russia claims that the Nokia 5 (2018) won’t be alone and that Nokia 3 is (2018) also ready to be shown to the world. Nokia 3 is a beautiful phone that brought a bit of Lumia 925 with it in 2017, but its hardware wasn’t shining star. There were some rumours that it could be replaced with Nokia 4, but since the number 4 is considered unfortunate in some Asian cultures, Nokia avoided it for many years. Microsoft introduced Lumia 435, and we know how that ended :). Anyway, I can’t confirm the info, even that one coming from Sarvikas doesn’t have to mean a lot, so consider it a rumor. It seems that while we are waiting for a true Nokia camera monster, Nokia Mobile will throw a bone for us to play with. Nokia 5 and 3 do deserve to be renewed since those phones were selling crazy around the world.